On the other hand, “Matt Gamel said he is coming to spring training in his best shape ever” and that this, may be his last shot at making it. Gamel has some awful big shoes to fill at first base, but in my opinion if he plays every day, Matt will prove he belongs in the majors. The addition of Aramis Ramirez at 3rd, will add some power, and Alex Gonzalez at SS, should add the needed strength on the left side. The Pitching I think should be a strong point again, Shaun Marcum news? Any rumors you want to share? 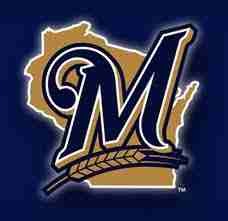 I am going to leave it at that for now, but I think the Brewers are well positioned to make a run for the post season again in 2012. Let’s here some noise! leave your opinion.